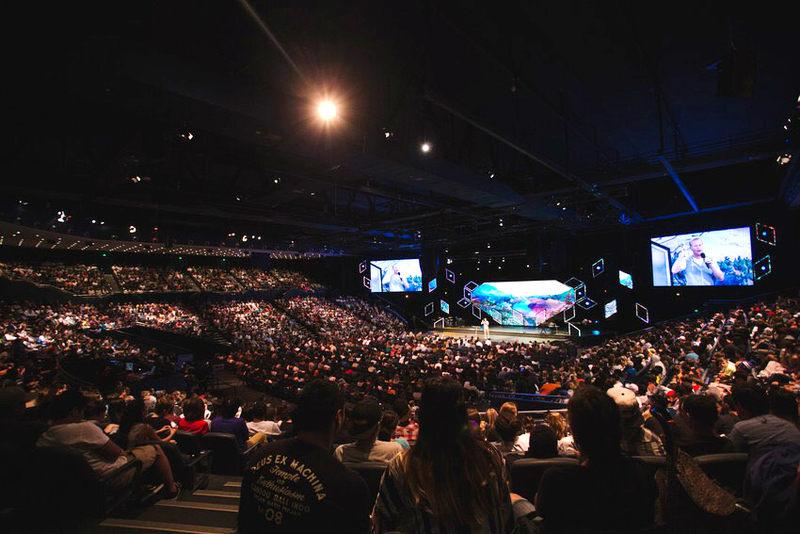 Hillsong, a multi-site church with campuses in Sydney, Brisbane, Melbourne, Newcastle, Gold Coast, Hobart, Darwin and Noosa as well as numerous international campuses around the world, has announced a partnership with Adamson Systems Engineering to provide sound reinforcement to multiple Hillsong venues worldwide. This partnership has come from Hillsongs successful association with Adamson Systems Engineering through it's Australian distributor CMI Music & Audio and the successful installation of Adamson systems in a number of its campuses over the past 5 years. "It started with our looking for a new system that would better meet our needs for the City Centre worship space in Sydney," explains Hillsong Production Facilities Manager Steve Le Roux. "At the same time, we knew that there were existing systems in other venues that needed to be upgraded, plus new churches under construction that would require sound reinforcement. It made sense to be incredibly thorough we sat through many, many product demonstrations in order to decide upon one manufacturer to work with for everything. In the end, Adamson through CMI came out the clear winner." The ongoing Main Campus upgrade consists of E12 cabinets as well as Adamson's recently released E119 subwoofer. "The subs are both compact and extremely powerful ideal for our City Centre space," adds Hillsong Head of Audio Ricki Cook. "They provide serious low end when needed while blending seamlessly with the PA."
The majority of Hillsong sanctuaries planning to install new sound systems in 2016 are mid-sized venues. Most of those systems will rely upon S10 line arrays and S119 subwoofers for sound reinforcement. Hillsong Director of Audio Ricki Cook adds, "In particular we were impressed with the compact S-Series system. It clearly stood out after extensive shootout and real world testing scenarios. The sound is very clean, the control in demanding acoustic environments is amazing and the low end capability makes it actually sound like a much bigger system. It handles everything you throw at it no matter how dense your arrangements are, clarity retains impeccable where other systems give up. The music performed at our churches varies depending upon the service. It was important to find loudspeakers that sounded great with everything. After listening to many different demos it was a delight to hear Adamson we knew their products would take us into the future." "We are very excited to form this partnership with Hillsong," adds James Oliver, director of marketing and sales for Adamson. "They are an amazing organization with an incredible reach and message for so many people. It's an honor to work with them to create custom sound reinforcement solutions for their many locations around the world."